A MUM who downed three quarters of a bottle of sangria, then was given a tranquiliser by doctors, has been spared jail after attacking her husband on an Easyjet flight. Sharon Simmonite, 46, was arrested at John Lennon Airport, Liverpool, after she lost control of her emotions while jetting home from a holiday in Majorca. A court heard that events began to get out of control soon after the couple arrived at Palma airport around 9pm on April 13. Simmonite made a trip to the loos and when she came back five to ten minutes later her husband, Martin, noticed a change in her behaviour. He believed that she had finished off the contents of the bottle of sangria, which he had earlier seen in her bag – although she denied this. Soon after she fell, and doctors called to the scene to treat her bruising decided to give Simmonite, who was said to be upset and angry, a tranquiliser to calm her. The couple later boarded the flight with one of their young children, where, according to the prosecution, she seemed calm. But it turns out it was the calm before the storm, Liverpool magistrates heard. When cabin crew came round offering refreshments Simmonite asked for four glasses of wine. 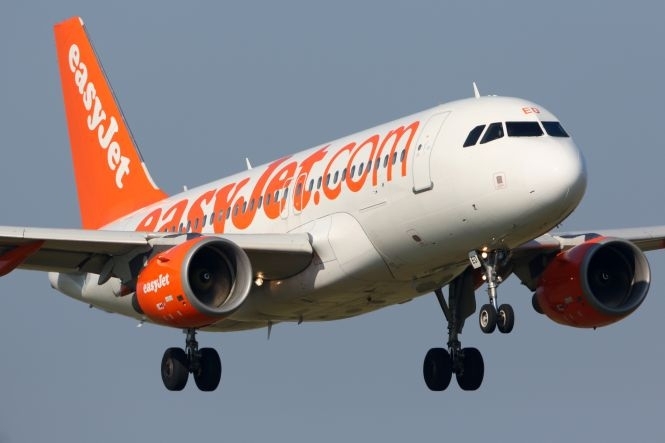 When she was refused service, with crew explaining Easyjet does not serve alcohol on the Mallorca route, she became angry, according to the prosecution. She then accused her husband of telling staff not to serve her booze before rummaging through galley lockers in a search for alcohol. Crew intervened and asked her to return to go back toher seat. On her return she struck her husband on the arm with a clenched fist five or six times, the court heard. Cabin crew once more intervened and moved Mr Simmonite and the couple’s son to seats at the front of the plane. Simmonite, of Middlewich, Cheshire, admitted being drunk on an aircraft and assaulting her husband. For the defence, it was said she had been a heavy drinker for years and suffered from an eating disorder. The court was told she had not eaten for 10 days and was drunk on arrival at Palma airport. The defence said she had shown remorse and that she was a vulnerable woman. Magistrates sentenced her to eight weeks jail, suspended for two years. She was also handed a rehabilitation order.